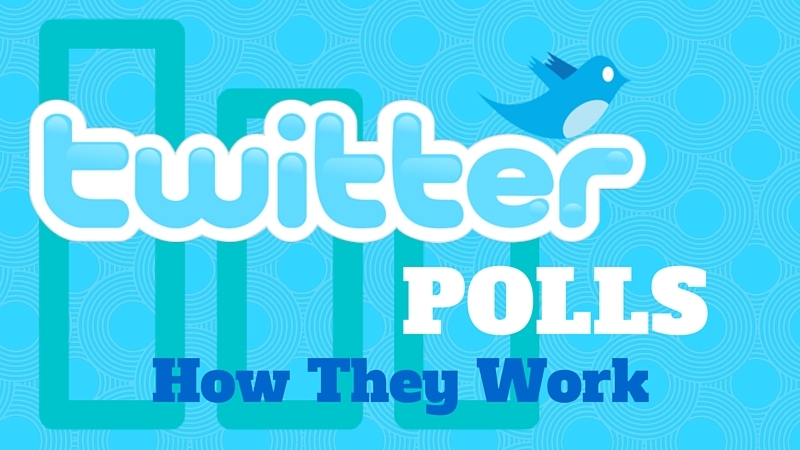 Have you thought about trying Twitter Polls? If so then you will love seeing the results I got with my very first Twitter poll. 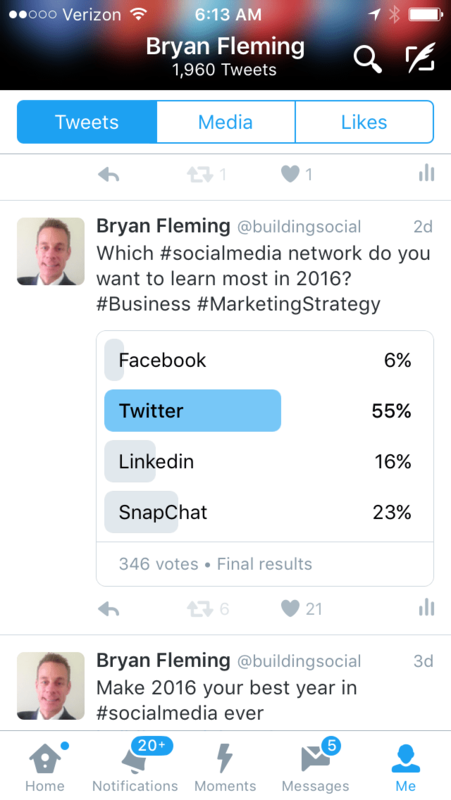 Twitter Polls are very cool and are a great way you can get data back from your audience. Watch the video above to see the results of my first ever Twitter Poll. Of course if you can not watch my video on Twitter Polls then I have included the main points in the blog post below. Now I had NO IDEA which one would win. I thought it would be Facebook but I really did not know. Next I posted my Tweet. 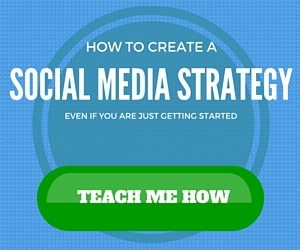 At the time of writing this blog post I have just over 10,000 followers on Twitter. That was not enough to get many responses back on my Twitter Poll. So I clicked that little “promote your Tweet” button on my iPhone and spent $10. After I submitted my ordered I was very worried that I would only get 5 or 10 responses. With that few responses you can’t get very statically valid results. One of the funnest things with Twitter is watching the promoted Tweets unfold in real time on your iPhone. So I did that. Every few minutes someone would fill out my Twitter Poll. Now I don’t know about you but getting almost 350 replies was WAY MORE than I would have thought. Honestly I was hoping for about 50 replies. So this works VERY WELL with Twitter. Just spend $10 and boost your tweet. 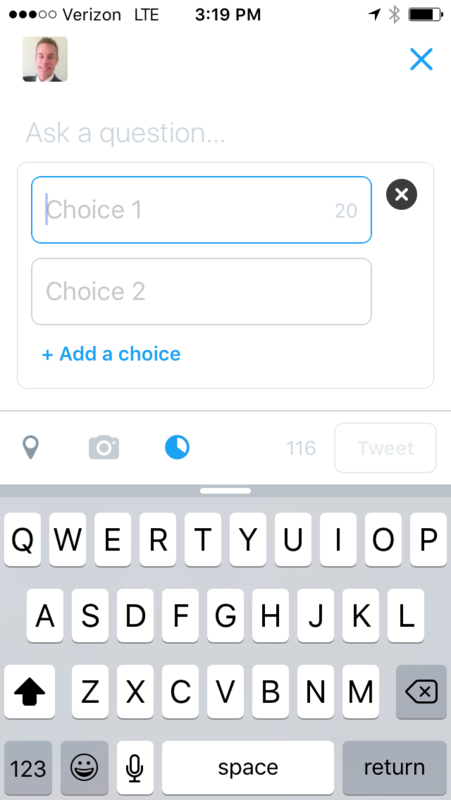 Twitter Polls are very fun and easy. The trick to doing them is you have to spend a few dollars to get them in front of enough people. Otherwise I don’t think you will enough replies. That is of course if you have less an 1,000,000 followers.